Sometimes it’s hard to be a dog owner. With few regulations on what qualifies as a dog trainer and unhealthy, inhumane items on the shelves and little information on what you actually need to be doing, trying to navigate through the “wild west” of dog ownership is frustrating. But, Dog-Harmony is here to help. The nonprofit offers workshops and low-cost training classes to help you be a better dog owner. To suggest a workshop or training clinic topic or for more information, please contact us! To see upcoming humane education events, please visit our events page. How many times have you heard children yell that, then excitedly run up to a strange dog and touch it? Such encounters can frighten dogs, and dogs can bite when they’re scared. 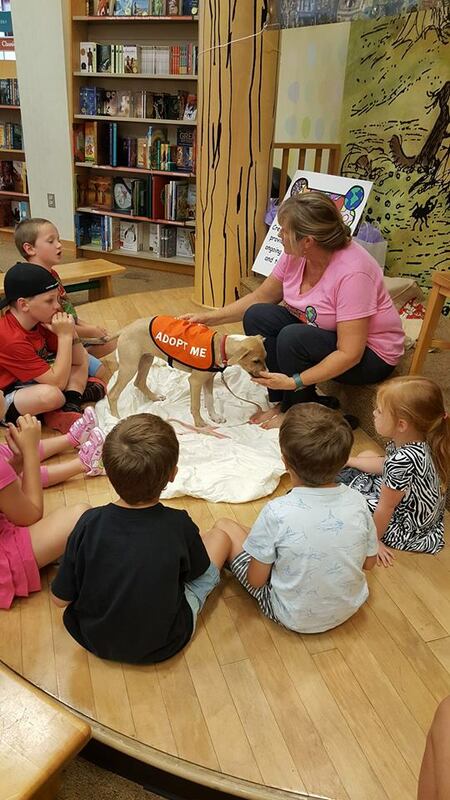 Dog-Harmony offers a class to teach children the best way to interact with dogs, so it’s a safe and happy experience for all. The 30-minute class includes how to approach dogs, proper ways to pet and play with them, dog body language, how to react if a dog attacks and more. The program is so important that Dog-Harmony offers it free of charge. More than 1,700 local children already have taken the class. Each year, 4.5 million people are bitten by dogs, with 1 in 5 needing medical attention, according to the Humane Society of the United States. More than half of all victims are children, with the highest rate among ages 5 to 9. Most bites are caused by the family dog, or the pet of a neighbor or relative. Check out this chart (and download!) as a baseline for learning how to greet a dog and what to avoid.